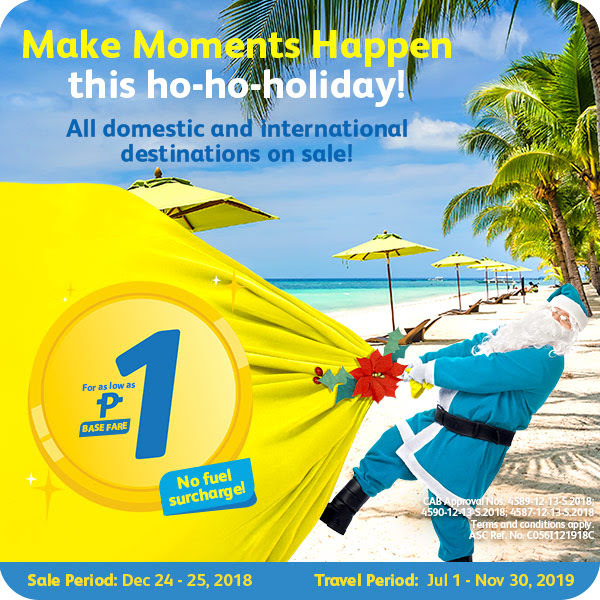 Aviation Updates Philippines - The Philippines' leading low-cost airline, Cebu Pacific Air launched its highly-anticipated piso fare promo at midnight today until tomorrow effective to all international and domestic destinations. The piso fare promo is one of the most talked about event in social media where the base fare for your seat is set only at PHP 1.00 or only USD 0.019. This excludes, however, additional fees and taxes. The travel period is set from July 1, 2019 up to November 30, 2019. Since the piso fare took effect, the website crashed and is not currently accessible to guests due to the large influx of site visitors. This happens normally though. However, don't lose hope and keep on reloading your screens as pretty low fares surely await you.